Marcel Proust, author of "Remembrance of things past" (a saga that falls in seven volumes, one of which is divided in two halves), is notoriously hard to transpose into movies - the structure of the books and the richness of the sentences and the tangents the writer goes through makes it difficult to put into celluloid (that and the fact that there's very little which happens). The first, based Swann's way (Du Cote de chez Swann) is "Fatat al isti3rad" (or showgirl) which I assume is based on the shady past of one of the main characters of the book (I shall not reveal which in order not to spoil the surprise). The second, In the shadow of young girls in flower (A l'ombre de jeunes filles en fleurs), is "Al mourahikan" (the two teenagers) is perhaps referencing the frolics of the love of Marcel to Gilberte Swann and those sweet nothings that happen and - don't happen (the things that don't happen are more important in the Proustian novels than those who do). The third, The Guermantes way I&amp;II (Du cote de Guermantes I&amp;II) is "Sayyidat al kasr" (the lady of the castle) an obvious allusion to Duchesse de Guermantes which was the object of fascination of the author. The fourth, Sodom and Gomorrah (Sodome et Gomorrhe), and in which the writer explored notions of sexuality and specifically homosexuality surrounding him is portrayed as "Chare3 el malahi" (the clubs' street) the debauche place which every city has with its louche ambiance. The fifth, The prisoner (La prisonniere), and where the complex relationship between the author and Albertine is explored in close encounters is "Imra2a ayila lil soukout" (A woman prone to falling) most likely because of all the paranoia and stalking in which the author was trying to forbid Albertine from "sliding" into a different sexual world. 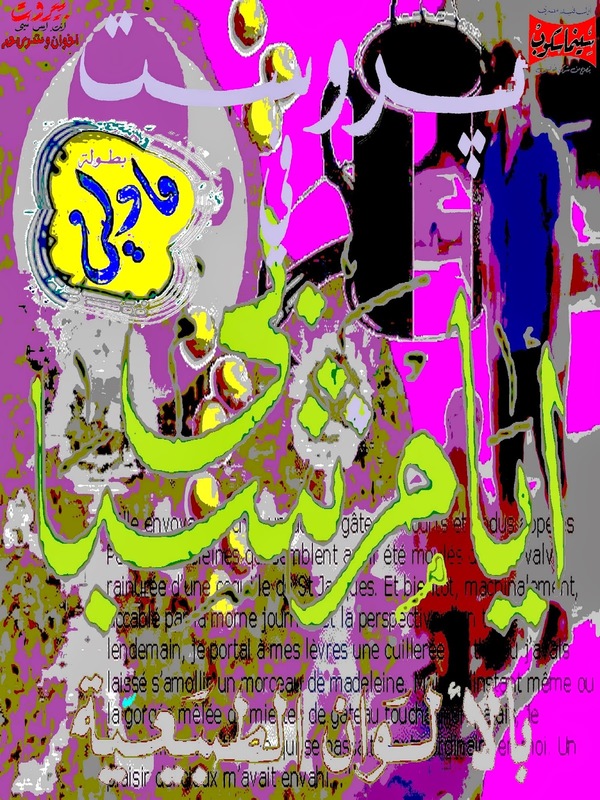 The sixth, The fugitive (Albertine disparue), is "Al Hariba" (the runaway) which of course is all about Albertine going away and the search for who she was really. 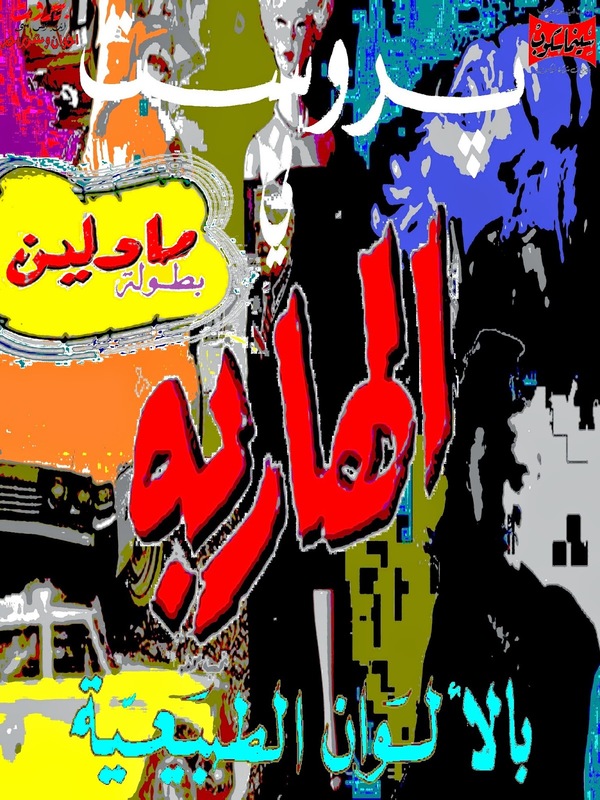 The seventh, Finding time again (Le temps retrouve), or "Ayam chababi" (Days of my youth), brings everything full circle giving the author material enough for him to embark on his literary masterpiece. The movies seem to have been produced by the same company in Cinemascope format (after securing the rights from Fox - it clearly says so on the posters), and star an actress called "Madeleine" (no other movies involving the actress were found or any of her archive). I hope you enjoy this precious find!